Windy days will sometimes dislodge a birds nest from the pines. I can’t resist taking them to the potting shed and adding them to others I have collected since moving to the little farm. This one has some of Flame’s mane spun into base of it. Nice of my horse to share her lovely locks. Love to see a photo of the collection! I will sure do that one of these days!!! Maybe when it warms up. I, too, have a small collection of nests — I display them on an exterior windowsill on the garage, near our shade garden. What a sweet little home! Gasp, a little very charming work of art. I love that Flames mane is making it cozy. I just love little nests! 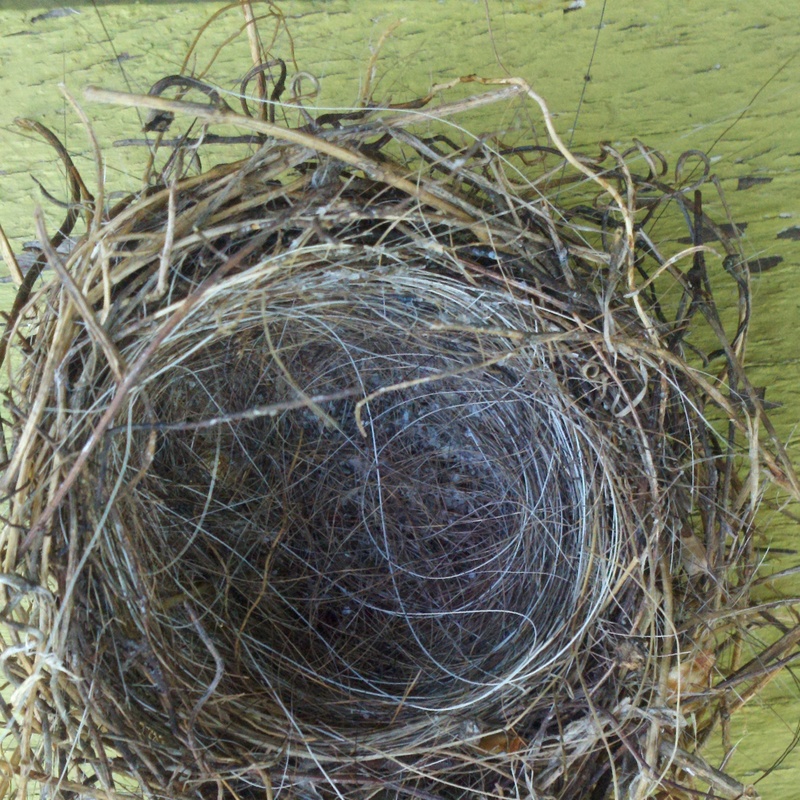 I am always so impressed with how birds know how to build such perfect nests from found materials. Last year when I noticed some robins building a nest in the river birch in our back yard – I scattered some lengths of twine in the grass and watched them pick them up and use them. The horse hair made this nest very sturdy I am sure. Thank you for sharing!